How to Delete Apps from LG G7/G6/G5/Optimus? Home > Resources > LG > How to Delete Apps from LG G7/G6/G5/Optimus? Summary: Here this article is about to show you 3 ways to uninstall apps from LG phone. Also you will learn how to better manage applications on LG phone as well here. Nowadays, the number of Android users shows an upward trend so there are more and more problems happen during the usage of Android devices. The limited storage space is one of the troublesome problems. As an Android phone user, you may like to download and install many interesting and hot apps on the phone for better using the device. However, when too many apps exceeds the storage capacity of your LG phone, you have to think about how to delete some useless apps from the device. If you are stuck in finding a way to delete apps from an LG mobile phone, you can directly have a try with the Android Assistant（Windows/Mac), which provides you an simple yet efficient solution to uninstall any app from your Android phone with one click. What's more, the Android Assistant also enables you install apps from computer into your LG phone, and also help you export applications from LG phone to computer for backup, which you can install to your phone with the app backup. In fact, the Android Assistant is a practical Android data managing tool to help you transfer files between Android and computer, and managing Android phone/tablet data on computer directly and effortlessly, such as contacts, call logs, text messages, photos, videos, music, books and more. Also, it is fully compatible with almost all LG devices, including LG G7/G6+/G6/G5/G4, LG V40/V30+/V20/V10, LG Q8/Q7/Q7+/Q6, LG K10/K8, LG U/Google/X Power and etc. Select the suitable version and have a try! Step 1. Connect LG phone to computer. First of all, you need to connect your LG phone with this computer via a USB cable. Launch the Android Assistant and enable USB debugging on your LG phone, it will detect your LG phone. The program will show you the starting window as below once the connection is successful. Step 2. Delete apps from LG phone. All files on your LG phone are displayed in categories and listed on the left-side bar. For this topic, you just click "Apps" to bring the apps managing window. Select apps that you want to delete and then click the "Uninstall" button to wipe them from your LG phone within 1 click. By the way, the "Install" button is used to download apps from web and install apps to your LG phone while the "Export" button is used to transfer apps from LG to computer after you selecting them from your LG phone. If you are looking for a way to delete your apps along with your app data forever from your LG phone, you must not miss the Android App Eraser (Windows/Mac) to help you out. Besides, please be aware that the simple "Delete" button does not help you clear all history of apps from your LG phone, but the Android App Eraser can. 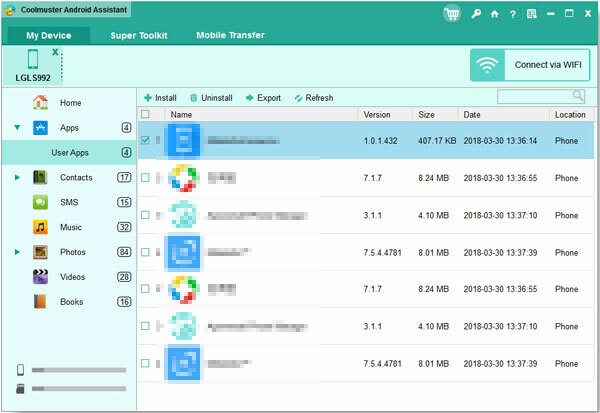 Actually, the Android App Eraser is designed to be a privacy protector, which helps you to protect your privacy on your Android phone, such as app data, contacts, text messages, notes, call logs, photos, videos, accounts & passwords and many more. Also, it is totally compatible with almost all LG phones as well. Now, download the Android App Eraser on your computer and get started. Note: Please do back up your important data on your LG phone before going further, since the program only support "Eraser All Data" mode currently and all of your LG files will be erased completely and permanently. 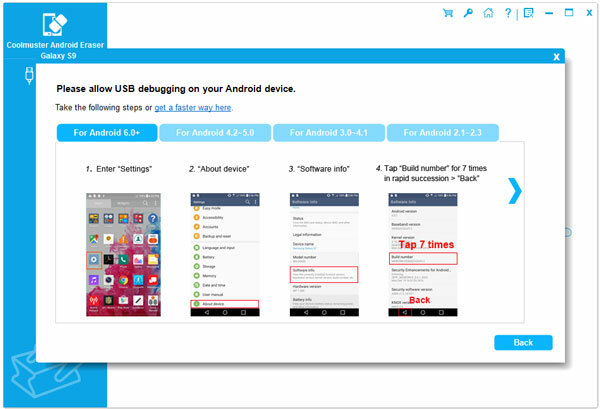 Run the Android App Eraser on your computer after installation and plug your LG phone to computer with a USB cable. Later, please install the MobileGo connector onto your device for successful connection. Step 2. Delete apps and app data from LG forever. When LG is successfully connected, you might see the main interface as below. All files on your LG phone will be scanned out for deletion. Simply click "Erase All Data" button and confirm it to start erasing apps and app data from your LG phone. Many Android devices offers the option to uninstall apps from the phone as well, so as the LG phones. To delete apps on LG phone, please follow the steps as below. 1. Unlock your LG phone and tap Settings icon > Apps & notifications option > App info option. 2. Find and select the applications you want to uninstall. Please note that if you do not see the system applications, click the Menu icon (upper right corner) > Show System. 3. To uninstall the app, just click Uninstall button, review the notification and click OK to confirm it. Or you can just press and hold the apps on the Home screen, move it to the Uninstall button and release it. Later confirm it by tapping the Uninstall button to remove your app from LG. 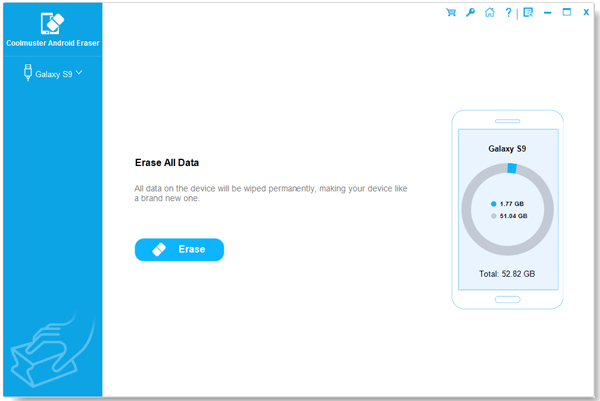 However, app data of the deleted apps will still remain on your device. Now, you have 3 ways to help you uninstall apps from LG phone. Personally I think the Android Assistant or Android App Eraser is much better. If you are in need, to, just get the powerful LG app uninstaller installed on your computer and enjoy the most effective and safest Android data managing solution. Leave your comment if you have any questions. 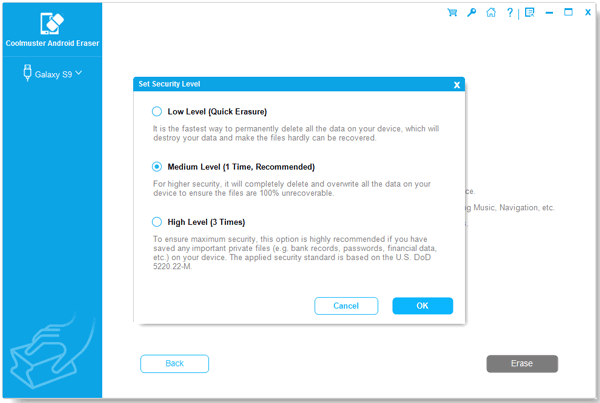 How to Backup Samsung Apps on Computer (PC&Mac)?